A new year, and new opportunities to discover all that Fredericton has to offer! We’ve come up with some great events that you might want to pencil in on your calendar, 19 to be exact! Fredericton is blessed with some great markets but we felt this one should be singled out! On Thursday nights, Carleton Street comes alive with the Garrison Night Market , June 20 – September 26. Culinary treats, unique hand-made gifts and live music make for a lively evening for the whole family! 2. Go for a skate under the stars! Looking for a great date night idea? Grab your skates and head to Officers’ Square and enjoy a pleasant outdoor skate, smack dab in the middle of Fredericton’s Historic Garrison District! Weather permitting between January and March. Check the Fredericton Recreation and Leisure Facebook page for updates. 3. The Beaverbrook Art Gallery turns 60! A big birthday year for the gallery! In 1959 Lord Beaverbrook gifted this gallery to the people of New Brunswick. In 2019 it turns 60 and with it special programming, exhibitions and events planned all year to celebrate. Check their facebook page for upcoming details at this world renowned gallery! 4. It’s all about the Beer. Pure. Simple. It’s official! Frederictonians LOVE their craft beer; so much so that Atlantic Canada’s Brewing Capital! Fredericton’s Craft Beer Festival kicks off on March 8 with educational workshops, tasting events and a special VIP event where you can chat with suppliers and brewers. There’s so much in fact that we take a week to celebrate! Check their Facebook page for details of this popular event. 5. Anime, Manga & Gaming Fans take note! Animaritime, the Maritime’s “Comic-Con” is back for it’s 15th year in Fredericton, June 28-30! Every year this event gets bigger and better; expect to see some very colourful characters walking the streets and 2019 theme is “Haunted House”, so it should be wild and whacky! Looking for other ways to geek out in Fredericton? Check out our blog! Have you ever heard of “forest bathing”? This term, coined by the Japanese, means taking in nature through all of your senses! You can do just that on some of our beautiful wooded trails around Fredericton. Odell Park, one of Canada’s best old growth forests, is the perfect backdrop to your adventures! You may not find a pig to buy, but you can find a huge assortment of prepared food, fresh fruit and veg, cheeses and some very unique handmade products. Fredericton’s oldest market, the Fredericton Boyce Farmers Market, (check out a few vendors that we thought were particularly interesting in our blog) the Northside Market and the Cultural Market are great year-round choices, and in the summer check out the new Garrison Night Market. And be sure to bring a bag or basket, just in case! 8. Did you say “Craft Beer”? What do you get when you have an amazing 115 km trail network and a burgeoning Craft beverage industry? A pretty cool bike experience with some great spots along the way to sit and sample the great flavours of Fredericton’s craft beer, mead and cider. Check out our blog, “Biking, Beers & Good Times” to get started! 9. A Festival a month is good for your health! 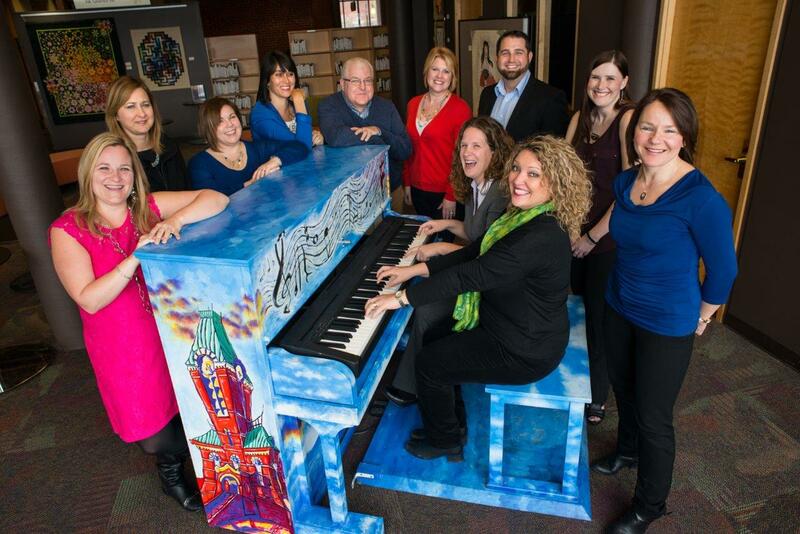 Fredericton has virtually a festival every month of the year! From FROSTival in January/February to Highland Games and Harvest Jazz and Blues Festival to Canada’s oldest whisky festival, NB Spirits Festival in the fall, there’s something to appeal to everyone’s taste with music, outdoor activities, food and drink and so much more! Start planning your Fredericton Festivals experience with our list of Can’t Miss Festivals! 10. Get up close & personal with nature’s creatures! The beauty of Fredericton is that you don’t have to wander to far to find yourself among nature, and that is particularly true in the summer. Natural and protected habitats such as Hyla Park’s grey tree frog to spotting the elusive beavers in Mactaquac, it’s a nature lovers dream! Read our blog to find other great ways to get up close to nature’s wonders in Fredericton! 11. Take in Fredericton’s diverse culture! From St. Mary’s Pow Wow (celebrating 20 years in 2019!) to the Cultural Expressions Festival in June and then Acadian Day in August, Fredericton offers events that help us celebrate the varied cultures that exist in the city. Check one or all of them out, and be sure to watch our Calendar of Events for even more! 12. Go on a Treasure Hunt! What better way to get to know a place than to go geocaching! Geocaching is like a treasure hunt with a gps or an iphone. Experience Fredericton’s nature, culture and heritage with a special passport that lists 24 caches around the city. 13. See the city on limited time! Take in some great Fredericton spots that are well within walking distance of the downtown! From Waterloo Row, (which was on the Canadian version of Monopoly), to the Bill Thorpe Walking Bridge (a great photo op location! ), NB Legislature and Boyce Farmers Market, it’s all within a 10-minute walk of the Historic Garrison District! Our blog will give you some great walker friendly ideas. The Fredericton Playhouse is the city’s performing arts centre with entertainment that will be sure to appeal to everyone’s taste! Grab some dinner then head over to catch a show, whether it be live music, theatre, comedy or film! A National Historic Site, Fredericton’s Historic Garrison District has a rich history as a riverside garrison town. While here, there are some great FREE activities such as the Changing of the Guard Ceremony, the Outdoor Summer Concert Series, Outdoor theatre, movies “Under the Stars” and more! 16. Take to the Streets & Trails in a Road Race! Fredericton is a runner’s dream and runners can be a quirky bunch! Make a plan to take part in a race that may take place on the amazing network of trails, on the road or both! 17. Welcome Spring Kings Landing style! Kings Landing does it up right with their Annual Sugar Bush weekends. Visit the village and experience the outdoors with the popular maple taffy on a stick, warm yourselves by the fire, visit the museum and eat a delicious pancake breakfast! 18. Learn something new with edVentures! Edventures is Atlantic Canada’s largest vacation learning program. From July 6 – 21 participate in workshops like pottery, jewellery making, silk scarf making & so much more! Break out of your comfort zone and come away with a one of a kind treasure, made by you! Running through the city is what locals call, the “Mighty St. John”, referring to the river that we are lucky enjoy all manner of awesome adventures. Like to paddle? Rent a canoe, kayak or SUP (stand up paddleboard), go for a leisurely float down the river in a tube, climb aboard the Wolastoq for an afternoon tour, or relax and cool off by the water at Killarney Lake or Mactaquac beach. Find more ways to enjoy our river on our blog. 2019 never looked so good! 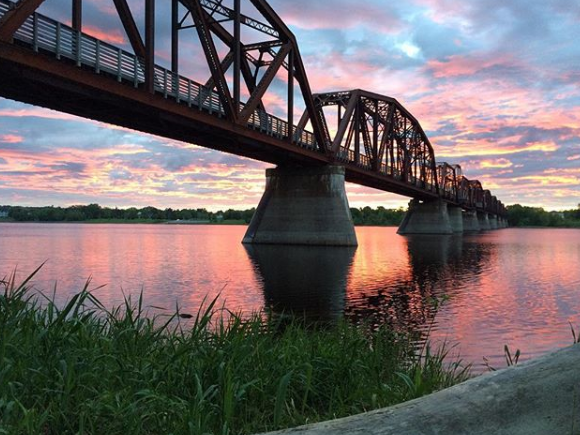 This list should help you start planning your next Fredericton adventure! For more information, be sure to follow us on facebook or check out our website!